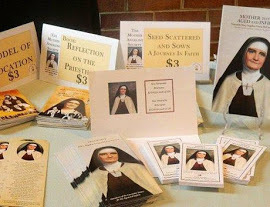 As readers of this bulletin likely already know, Mother Angeline was the foundress of the Carmelite Sisters of the Aged and Infirm, a congregation dedicated to caring for the elderly in home-like settings. Mother discerned a call, back in 1929, to develop a new model of loving service to those in the autumn of their lives. To carry out this vision, she and six other Sisters left their former congregation, the Little Sisters of the Poor, and started a new community. Interestingly, Mother insisted that the community be rooted in a spiritual tradition, something solid and venerable that could provide them with spiritual sustenance as they went about their work of caring for the aged. Mother chose, as the name of the congregation indicates, the Carmelites. Carmelites have been known for centuries for their tradition of prayer, spirituality, and mysticism, and have given the Church such notable saints as St. Therese, St. Teresa of Avila, and St. John of the Cross. 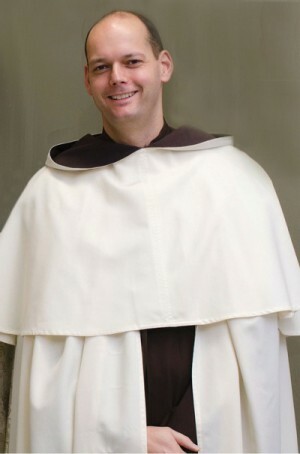 Mother Angeline wrote to Patrick Cardinal Hayes, archbishop of New York at the time, about her reason for choosing to join the Carmelite family, “our only aim in requesting this affiliation, is that of leaning up our work, so young and inexperienced, against one of the greatest religious families in the Church.” But why specifically the Carmelites? There are many other solid and well-respected spiritual traditions in the Church. There are the Franciscan, Dominican, and Benedictine charisms, for example. What was it about Carmel that attracted Mother Angeline? Well, she was acquainted with the Carmelite friars in New York, who staffed a parish not far from where she was ministering as a Little Sister of the Poor, and perhaps this personal relationship influenced her decision. But in addition to the Carmelite friars, I think it was a Carmelite nun who provided the most profound inspiration for her choice. And this nun was St. Teresa of Avila. St. Teresa of Avila was a 16th century Spanish Carmelite nun who instituted a reform of the Carmelite Order, and felt a call to live a more prayerful and simple life in accord with Carmel’s ancient tradition. Her reform met some resistance and was not understood by all, but she felt in order to be faithful to this call, she had to press forward. In her writings, she honestly recounts the trials, and joys, she experienced in bringing this community to life. Perhaps as Mother Angeline was discerning her call to establish a new community she looked to St. Teresa as a model, guide, and spiritual companion. Both had a love of their previous communities, but both also felt a deep call to go deeper into their vocation and live it out in a new way. Mother Angeline saw with St. Teresa a path that she could follow that would be faithful to both her vocation and to the Church. There are several clues that indicate that Mother did have a particular reverence for St. Teresa. Most obviously, she included the name “Teresa” in her new religious name, “Sr. Mary Angeline Teresa, O.Carm”. Also, when the congregation obtained property on the banks of the Hudson River to serve as the Community’s Motherhouse, it was named “Avila-on-Hudson”, in honor of the town in which St. Teresa lived. The community chapel built on these grounds was named “St. Teresa’s Chapel”. It was in this very chapel that Mother Angeline spent many hours in prayer, and where she was sent home to receive her heavenly reward. So just as Mother Angeline received inspiration and guidance from St. Teresa, even though they were separated by centuries, I am confident that we, too, can be guided by the life and example of Mother Angeline in our own lives today.